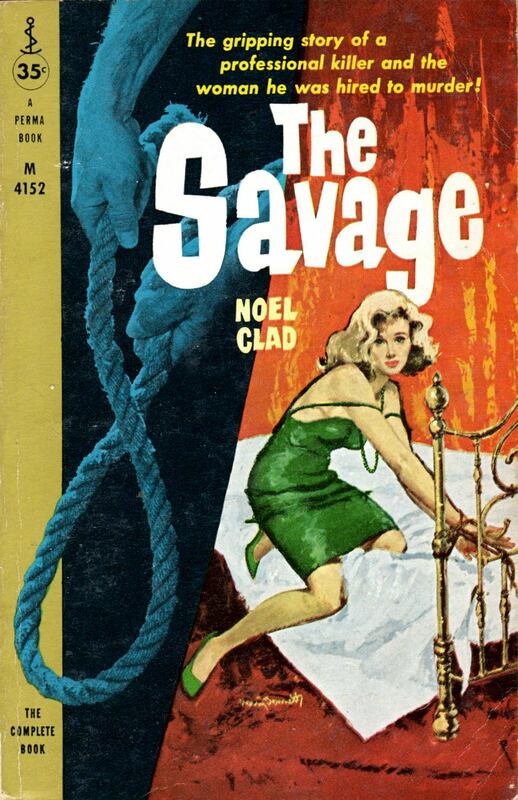 ABOVE: Noel Clad, The Savage (New York: Permabooks, 1959), with cover art by Harry Bennett. 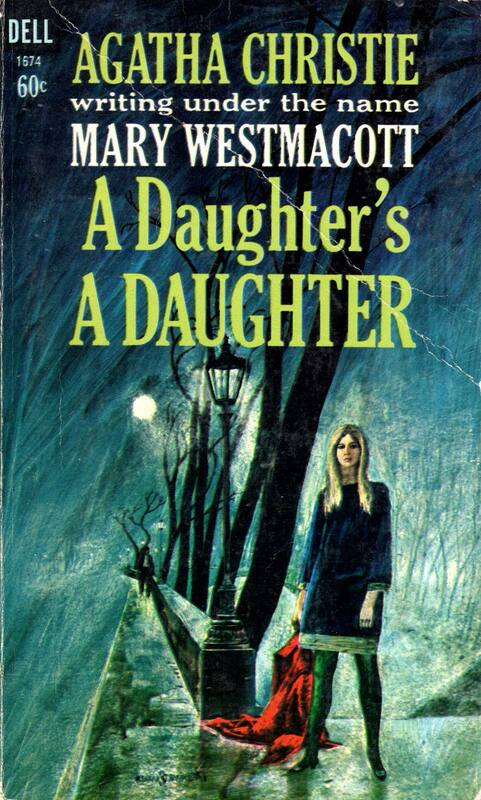 ABOVE: Agatha Christie, A Daughter’s a Daughter (New York: Dell, 1963), with cover art by Harry Bennett. 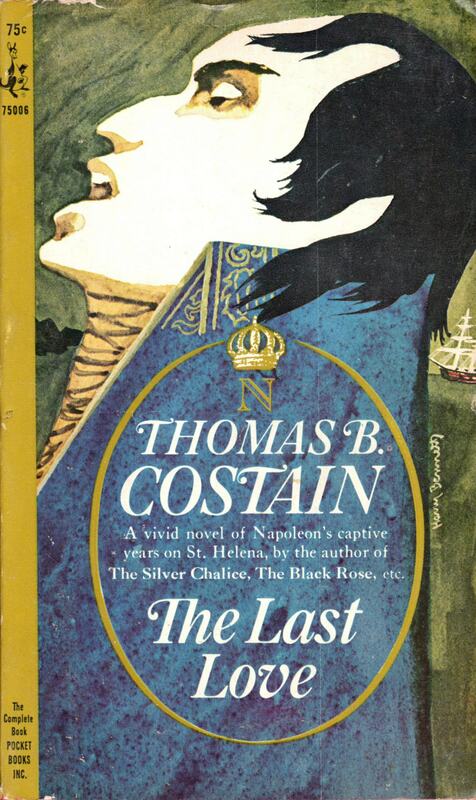 ABOVE: Thomas B. Costain, The Last Love (New York: Pocket Books, 1964), with cover art by Harry Bennett. 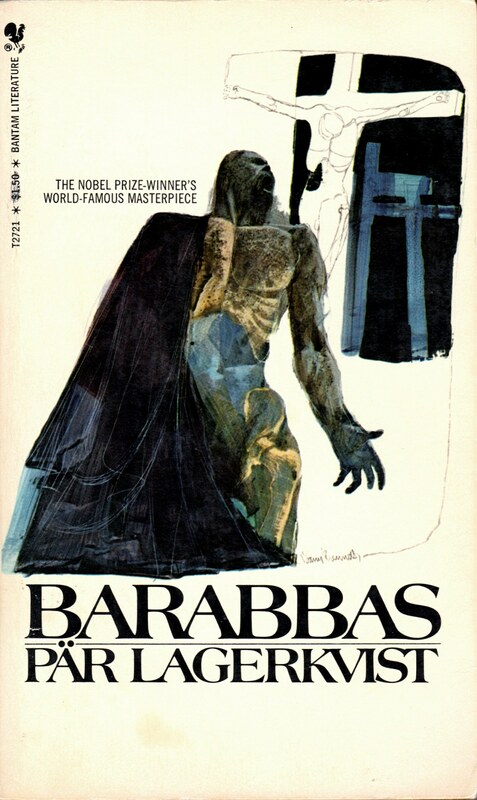 ABOVE: Pär Lagerkvist, Barabbas (New York: Bantam, 1972), with cover art by Harry Bennett. Award-winning painter and illustrator Harry R. Bennett, formerly of Ridgefield, died early Thursday, November 29, 2012, from complications of pneumonia at The VA Medical Center in Baltimore, MD. He had lived with his daughter, Pamela Bennett and wife Margaret Shean in Towson, Maryland. Harry Bennett was born May 15, 1919 in South Salem, NY. His father was a native Ridgefielder whose roots in Ridgefield went back to the 18th Century. Bennett was born months after his own father, Harry Bennett, died of the 1918 flu epidemic. His mother Anna Karlson raised the family earning income by operating a laundry business. The family moved to Gilbert street when Harry was a year old. He had two sisters, Dorothy Bennett Carboni and Lillian Bennett Bliss. A 1937 graduate of Ridgefield High School, he starred in athletics, was the captain and center for the RHS basketball team that reached the semifinals in the state championship and was president of his class. Mr. Bennett was a commercial artist for the Magazine Photo Engraving Corp., Stamford when he enlisted in the Army in November, 1940. He graduated from the Infantry Officer Candidate School in May 1942 and was commissioned a second lieutenant, and promoted to first lieutenant the same year. Major Bennett was a veteran of the Hollandia operation, in which Gen Douglas MacArthur’s forces cut off the entire Japanese 18th Army, and in which Major Bennett himself won the bronze star. In 1945, Bennett married Margaret Shean in Ridgefield, Ct, where they lived until 1985. After the war, his wife encouraged him to attend art school and to follow his passion for painting. Mr. Bennett attended both The Art Institute of Chicago and The American Academy of Art Chicago for two years, until he started working as a commercial artist. He illustrated ads for Buick, Pepsi Cola and U.S. Keds. He lived and worked in what is now known as the Bennett House on Main St. in Ridgefield. He would use his family and neighbors as models for over 1,000 book covers and illustrations over the years. Mr. Bennett was best known as an internationally published illustrator who painted large scale covers for the big publishers of the paperback industry at the time including, Simon and Schuster, Western Printing and Avon Press. He did covers for various authors including, Jude Deveraux, Mary Stewart, Phyllis Whitney, and Victoria Holt. He also illustrated the first paperback edition of Mario Puzo’s The Godfather. The New York Society of Illustrators awarded Harry Bennett a bronze medal for the ink paintings he created to illustrate a boxed collectors’ edition of Dante’s “Divine Comedy,” published in 1966, in which he was granted him a one man show at The New York Public Library. In 1986, Mr. Bennett retired from his commercial work and traveled out West, painting and teaching. He lived in Corvalis and Cannon Beach, Oregon, until finally settling down in a small riverfront town named Astoria in 1989.He was drawn to the landscape there and moved into a small house overlooking the Colombia River. He had a studio downtown where he spent most of his time. Harry had a strong work ethic, always wanted to be painting or preparing for a painting. He was a great mentor to young artists, including his daughter Deborah and Thomas who are also painters. In 2008, Harry Bennett and Margaret Shean moved to Towson, MD to be closer to his family on the East Coast. In addition to his wife of 67 years, Margaret Shean, he is survived by two daughters, Deborah Bennett of Atlanta and Pamela Bennett of Towson and three sons, Harry Bennett Jr. of Canyon Country, CA, Michael Bennett of West Palm Beach, FL and Thomas Bennett of Brooklyn, NY. He is survived by eight grandchildren and three great-grandchildren. Keywords: A Daughter’s a Daughter by Agatha Christie, Mary Westmacott, Barabbas by Pär Lagerkvist, The Savage by Noel Clad, The Last Love by Thomas B. Costain, Harry Bennett.